The Man Who Loves To Hurt Himself, an intense documentary film on TODAY IS THE DAY’s iconic founding frontman Steve Austin, is slated to premiere at the International Filmmaker Festival of World Cinema in Nice, France in May. Directed and filmed by Anthony Short, The Man Who Loves To Hurt Himself takes a look at Steve Austin’s nearly-three-decade-long career as a musician in TODAY IS THE DAY and his reflection of his life. It explores how he balances life with his artistic passions and the undeniable effect his fans express to him about the life altering meaning it has had on them. Short spent two years following Austin around the US on tour, listening to his inner thoughts and questions about life like a fly on the wall. In his own words, he guides the watcher through his world by stream of consciousness. This reflects the conversations he has with himself in his head — a first-person account. If you were to have your life flash before your eyes right before you die, this film is what Steve Austin might see about himself. 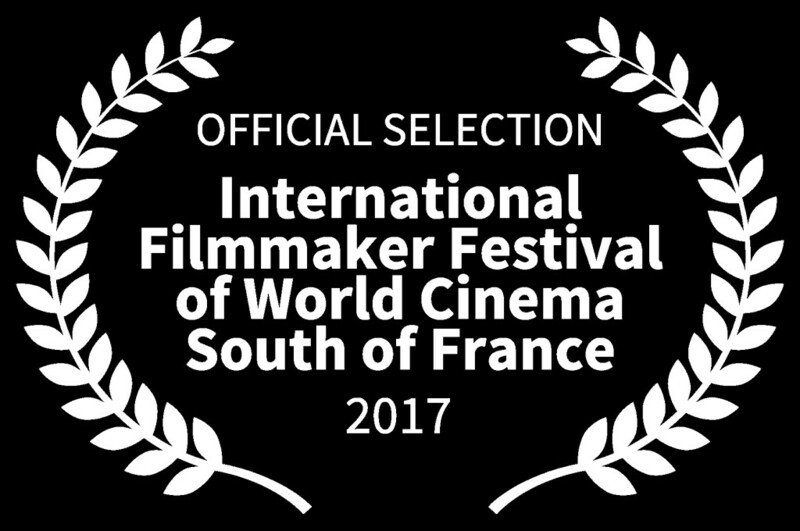 The Man Who Loves To Hurt Himself was selected to screen at the International Filmmaker Festival of World Cinema in Nice, France, an offshoot of the world-famous Cannes Film Festival, taking place from May 13th through 20th. Anthony Short has been nominated for Best Director for the film. A Facebook page for The Man Who Loves To Hurt Himself was launched RIGHT HERE and an official website is posted HERE. A trailer and further details on the film will be issued in the days ahead. TODAY IS THE DAY’s seminal 1997-released Temple Of The Morning Star album was just featured in Decibel Magazine’s Hall Of Fame series, with a six-page centerfold feature in the April 2017 issue. A deluxe 20th anniversary edition of Temple Of The Morning Star — remastered by Maor Appelbaum (Cynic, YES, Faith No More, Sepultura) — was also just re-released on CD/DVD, 2xLP, and digital formats through the band’s new label home of The End Records, each format of the reissue featuring bonus materials and more. Order the reissue HERE and the April issue of Decibel HERE. TODAY IS THE DAY reigns as one of the most influential extreme bands of the past two decades. The band’s violent and anthemic style, which blends metal, noise, psychedelia, and rock, has won worldwide acclaim ever since the debut album, Supernova, first hit in the early 1990s. Ten studio albums have been released on such labels as Amphetamine Reptile, Relapse, and Southern Lord — including modern-day classics like Willpower, Temple Of The Morning Star, and In The Eyes Of God. The band’s lineup has included such musicians as Brann Dailor and Bill Kelliher, who would later go on to form Mastodon. TODAY IS THE DAY has toured the world with Motörhead, Helmet, The Melvins, Morbid Angel, Converge, Napalm Death, Neurosis, Eyehategod, Unsane, Coalesce, and many more. Steve Austin has made a name for himself as a producer, helping create seminal albums for Lamb Of God, Converge, Deadguy, among others, in addition to producing nearly all of TODAY IS THE DAY’s releases. Austin is featured in the Color Of Noise Documentary about Amphetamine Reptile Records, and is currently scoring several independent films. Director Anthony Short has maintained a full-time career in the film/video entertainment world since 2001. In that time, he has developed a highly diverse set of skills with proven management abilities with feature films, broadcast television, and national commercials. Though having a strong focused experience in post-production, he has also been heavily involved in conceptualization and pre-production on several successful projects. His IMDB resume includes credits as a sound engineer, composer, production manager, producer, and more, including Showtime’s popular series Homeland and much more.